Some might think these mashed up movie blog titles are silly but I get a kick out of trying to make some sort of sentence(ish) out of mashing titles together haha! But there were a lot of movies to get into that title so lets get reviewing! 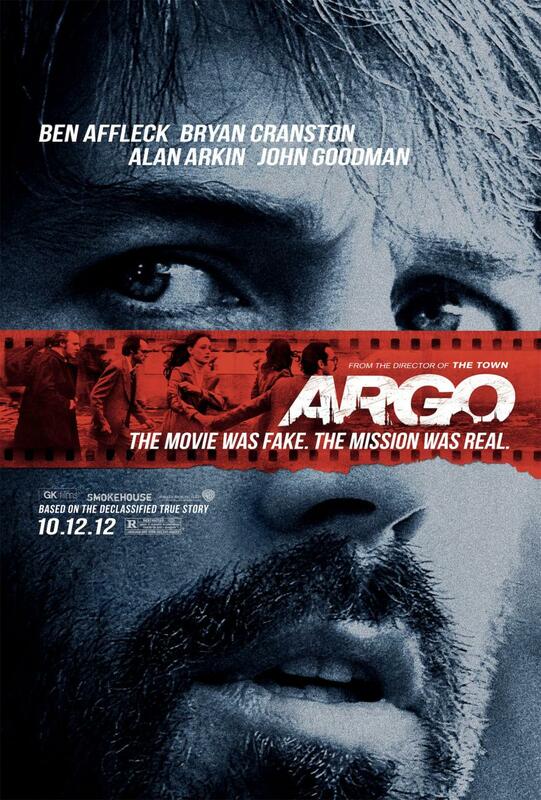 I finally managed to see Argo the other day. I had a feeling I would need to see this movie when it was first out in theaters but because it wasn’t my typical taste in movies I decided to see if it really would be part of the mission…and it was. I was worried I wouldn’t be able to catch it in time but a few theaters brought it back out for the Oscars. I expected to feel confused by the film but I actually found it really interesting. It was really an amazing CIA mission to get a group of Americans out of Iran. Even though the movie they were pretend creating seemed a bit silly, the movie did a great job of communicating how stressful and nerve wracking of a mission it really was. This movie seems to be gaining a lot of momentum in the best picture race because many people feel Ben Afleck was snubbed for a best director nomination. While I agree that I think he may have been snubbed…and I really enjoyed the film…I don’t think this would be my pick for best picture. It gets 4 stars from me. A friend and I watched Flight the other week. This film about an alcoholic pilot who makes a miracle landing of a faulty aircraft is really interesting. I like when stories or movies try to get you to explore a gray area of life. Here you have a pilot with a clear problem…but if he hadn’t been the one flying the plane…the whole plane would have died. It gives you something to think about and tries to convey how hard of a struggle addiction really is. I think Denzel had good moments in this film but I don’t think he should win for best actor over Daniel Day Lewis. I liked the film though and would recommend it. It gets 4 stars from me. I had been avoiding the movie Django Unchained for almost the entire mission. I just tend to dislike Quentin Tarantino’s style of movies and I had heard this was pretty violent. I have to say Django surprised me. It WAS very violent and there were a LOT of cartoony bloody scenes…but I really enjoyed the story. It was kind of a cool story of a bounty hunter who buys freedom for a slave (Django) in exchange for help in finding some wanted men. The bounty hunter eventually returns the favor by trying to help Django free his wife. I think as a film overall I wouldn’t call it best picture, but I can understand why it won for its screenplay at the golden globes. And Christoph Waltz was really good in the film. I could see why he was nominated for his supporting role. Leonardo was actually really good as well. I think if there were room in the category he would have also been nominated. I liked Django way more than I thought I would. It gets 4 stars from me. I was really excited that last summer’s Pixar movie Brave was nominated for best animated picture so I could add it to the list. But I have to admit I think my expectations for Brave might have been a little too high. It was a really cute story. I did like it. But there was some slap sticky comic relief that I felt like it could have done without (not saying that stuff isn’t funny at times but sometimes it feels like it doesn’t fit in the feel of a movie). There were a few small inconsistencies that feel picky to even say out loud. But really it was a nice story with pretty animation. I enjoyed it, but not as much as I enjoyed Wreck it Ralph (which really surprises me) or How to Train Your Dragon from a few years back. It gets 3 stars from me. I was interested in seeing Beasts of the Southern Wild because of how much praise young star Quvenzhané Wallis was getting for her staring role. This film follows a little girl in Louisiana (I think) who survives a big flood on the wrong side of some levees in a community called with her father and some other locals. Its hard for me to say if this film was a nod to Hurricane Katrina because it was a bit abstract. She keeps talking in her narration about beasts staying together and being strong and how the world has to all fit together just right. It was all sort of from her perspective. I thought that concept was cute and I really thought she was great and cute in the film. But I don’t know that I really liked the movie. It was a little too abstract for me. It will be cool to see if she wins best actress but I don’t think she will get it based on the others in the category. But I don’t know that I really liked the movie. It was a little too abstract for me. It gets 2 stars from me. 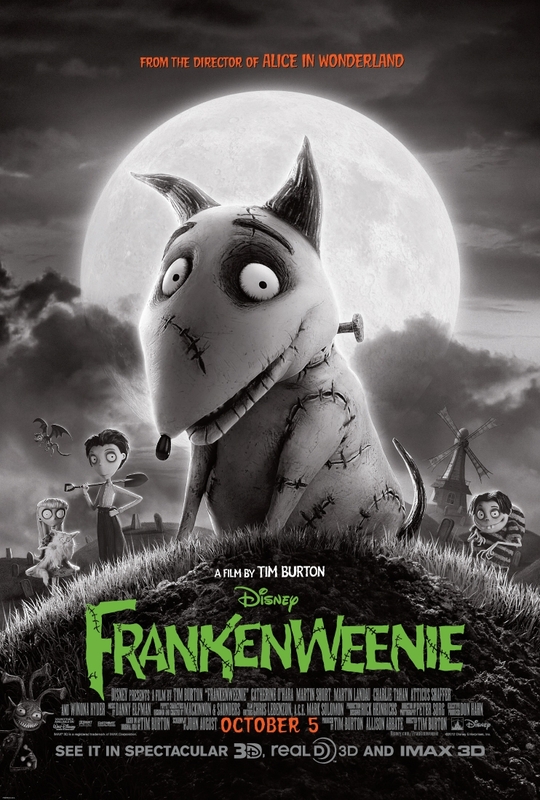 Frankenweenie is a Tim Burton animated feature about a little boy who loves science and wants to bring his dead dog back to life. The story is cute I suppose but this movie didn’t really do it for me. I know many won’t agree with me but Tim Burton animation is a bit too dreary for me. It is in black and white and all the characters look like zombies or ghosts. I didn’t really think there were any exciting or unexpected twists in the plot. I don’t know…I just think it wasn’t for me. I give it 2 stars. I went to go see the short films recently too! I have to write about those in another post…and soon…the Oscars are this coming Sunday! Have you seen any of these movies? What did you think?